We're happy to share the road with one of the Greatest gaming classics of All Time and a big reference for us. Welcome to #NintendoSwitch, good old friend! It's no surprise the studio behind this game are big fans of the latest Sega AGES release. As noted in the tweet itself, the Out Run series was a big point of reference when creating Horizon Chase Turbo. 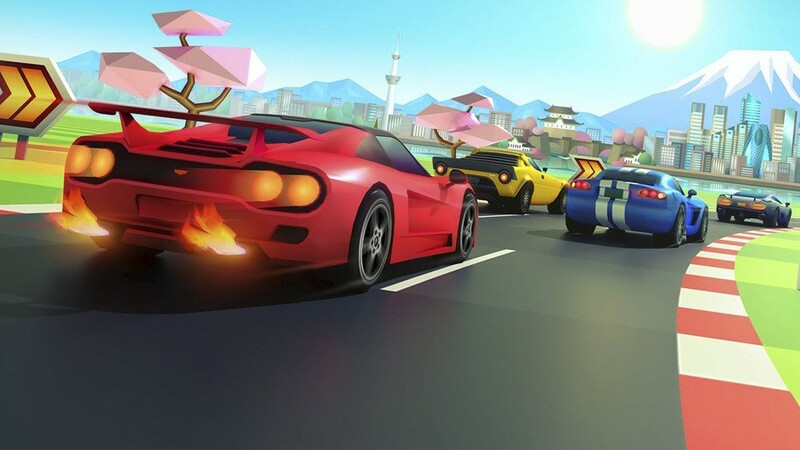 Although you could argue it's more heavily inspired by other classics such as the Top Gear series, its bright and colourful palette definitely seems to have been sourced from Sega's lively arcade hit. We would even go as far as saying both are essential purchases for any arcade racing fans who happen to own a Switch. So, what are you waiting for? Get racing! Need to grab this as well as Outrun. Have 'em both now and could not possibly be happier. An old school classic and a modern classic, like peanut butter and jelly, I say. Have already Out Run on 3DS, doesn't see a reason to doubledip especially when there's so many other choices for Switch too, maybe not racers but still. Which is commendable given Horizon Chase Zero honestly blows Outrun away, and I say that as respectfully as I can. Horizon Chase was amazing when I played it back then on my phone. I'm going to download the switch version now. @JaxonH I agree, but to be fair, Out Run is from the 80's. 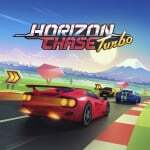 Sure, it was probably the best racing game around at the time, but it's going to get smoked by any decent retro style, but in still many ways modern racer like Horizon Chase Turbo. The 3D-ified version of Out Run on the 3DS was pretty glorious though. Got Horizon Chase over the festive period to play with my wife and we absolutely love it, smashing out all those gold trophies. Was a huge fan of Top Gear and Outrun. Definitely room for both on Switch - how about a port of Top Gear next? If you love these classic arcade racers you need to check out 'Super Night Riders' and play it in 'classic mode' it sadly isn't on the Switch yet but is on all other platforms. Essentially a modern HD hang-on with virtua racing flat polygon graphics. Still waiting for that sweet Cruisin' return. Share the road? Who do you think you are? Horizon Chase is a good game but you are talking to the King that made the road you are using. You only exist because you play like a game that played like this game. Unconditional praise for a competitor? Pretty sure that's against international trade rules these days. Wow, Horizon Chase completely flew under my radar; lots of praise I see. I may not be a supreme racing fan, but if we're talking that it's in the same vein as Outrun or similar, then I may have to add to my wishlist. @Paraka You and me both, loved the Cruisin' series. I just downloaded HCT yesterday and am having so much fun with it. Beautiful game. I'll have to get Outrun soon, as I've never played it. @Anti-Matter I only learned about this car thanks to Horizon Chase. @MeloMan You won't be disappointed. Chase HQ is familiar too, afterall beaten it several times with GBA. Sorry OT. I bought Horizon, but I should've waited until there was a sale. It's got great presentation and some great music, but it just gets too repetitive. I played a large number of tracks , but they're always a bit stressful (sudden hairpin turns, etc). I wish they had broken it up with some cruisy tracks with long turns so you can just sit back and enjoy the view and the music. Now have both added to my Switch library. Horizon is awesome but Outrun is King! not even the same game 'style' anyway.